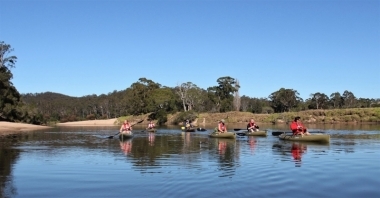 Kiah Wilderness Tours, Kiah, nsw. Information, Photos and Reviews. 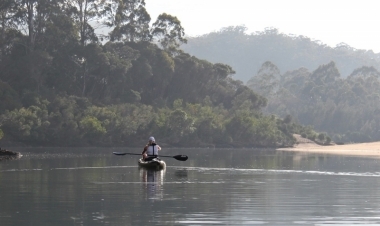 Award-winning Kiah Wilderness Tours offers small group guided kayak tours on a pristine river on the Far South Coast of NSW. 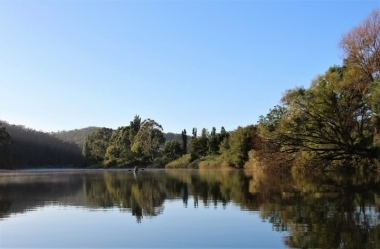 The river winds its way down to the mighty Twofold Bay and is brimming with fish and bird life. 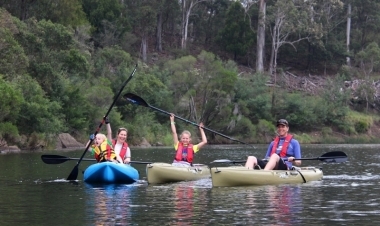 Suitable for all ages, no experience needed - it's a relaxing adventure in nature. Each tour includes delicious snacks, plunge coffee or a selection of teas - all served on a sandy white beach amongst towering eucalypt forest. 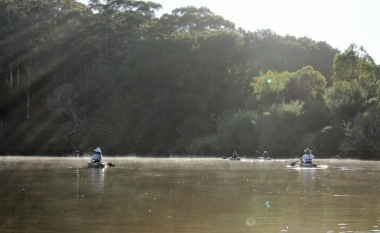 Look out for the tiny little bright blue and orange azure kingfisher or a magnificent white-bellied sea eagle looking down on you as you paddle past. This business won Gold in the Ecotourism Category of the South Coast Tourism Awards 2016 - only 2 years after it began. With over 60 five star reviews on Trip Advisor, it has become a feature of the area. Choose from family tours, pre-dawn breakfast tours, morning or lunch tours or full day tours. Small groups are much nicer! Nobody has reviewed Kiah Wilderness Tours yet, Be the first. You are submitting a booking enquiry. Kiah Wilderness Tours will then contact you by email with details of availability and prices.